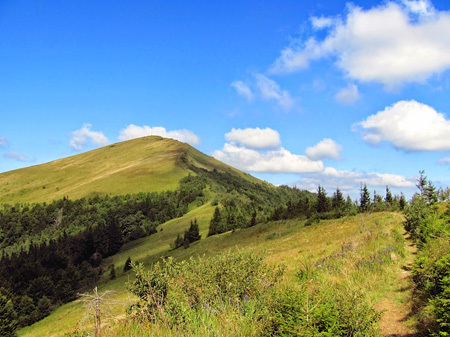 National Natural Park “Skole Beskids” covers most of the Skole district and some areas of neighboring areas (Drogobytsky and Turka), Lviv region. The total area of protected area is 35,684 hectares. Park “Skole Beskids” was created February 1, 1999 for the purpose of conservation, restoration and sustainable use of landscapes of the western part of the Ukrainian Carpathians with typical and unique natural complexes, which have important environmental, ecological, aesthetic, educational and recreational value. National Park natural park ”Skole Beskids” is one of the best places in Ukraine, near the park are known Ukrainian resorts Skhidnytsia, Skole, Slavske. The park is located in the valleys of the rivers and Striy and Opir, and there is a good opportunity for boating. 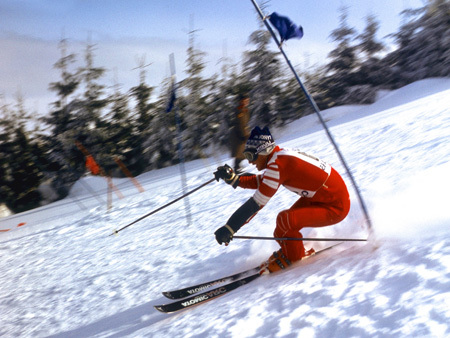 At the same time, also skiing is developed. 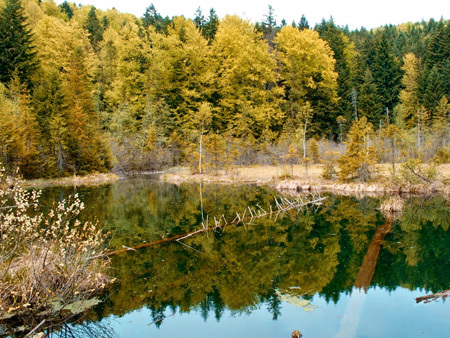 If you decide to visit the Park “Skole Beskids”, you will be able to not only relax but also to improve your health, because in 1970 in the village Skhidnytsia near the park were opened rich reserves of mineral waters, such as “Naftusya”. The park also has more than 30 mineral springs spa. Mineral springs are located in the valley of Maydanske Rybnik, around village New Kropyvnyk and others. 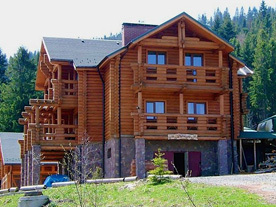 For recreation and relaxation there are a variety of resorts, recreation, camping. 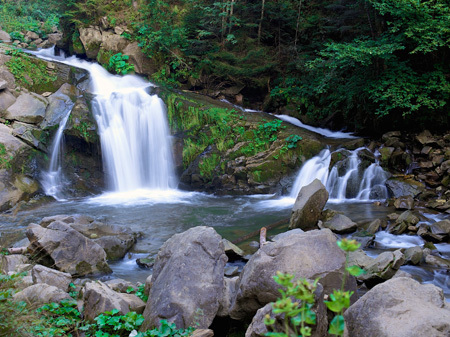 A few kilometers from the village Dubina is flowing forest river Kamenka, washed in flowing rock bed of scenic waterfall - amazing natural monument that captures and captivates with its beauty. Above the bed there are several waterfalls, but this – is the most beautiful. This wide water curtain falls on a six-meter height on boulders that in chaotic mess accumulated at the bottom. This place is very popular among local historians and tourists in the summer heat the water is cool and if you swim, provides unique vigor and fills the body with energy. Approximately half a kilometer from the waterfall on the river Kamenka up a steep trail up to the unique environmental object – Cranberry stow. Here on the poor deep peat grows not usual not usual of this area plants typical of the taiga – “northern grapes” – cranberry marsh. In the stow there is Cranberry Lake (local name – Dead Lake). The name of the mountain Parashka is associated with the name of the daughter of Prince Svyatoslav, who wanted to escape from killers of Svjatopolk and hid on the mountain near the chips. However, there has not turned her death, she was killed by the sword, and the people called the mountain by her name - Parashka. The center of winter sports and tourism, the foot of which is 2 km from the village Slavske of Skole district. Namely Slavske is located in the picturesque valley of the rivers Slavsk and Opir. With a height of 1,300 meters, it cannot compete against the length of slopes - from the Alps, but well withstand competition on the complexity of the descent. Thus, the most difficult is the steep slope of the center, which gives exciting sport minute test those who dare to go down on it. Unique natural conditions of Skole Beskids, as Skole District as a whole, are complemented by a large number of underground sources of clean water of various types (drinking and mineral). 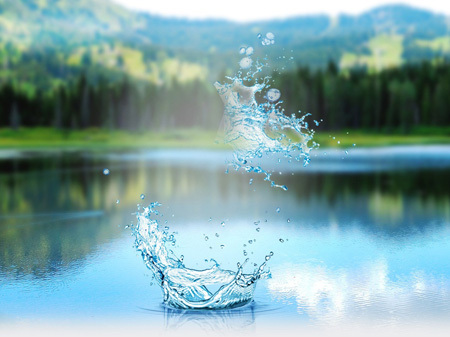 Some of the identified deposits and mineral water are well known and used, but most of them just recorded and requires a more detailed geological and spa study to assess the possibility of their practical use. 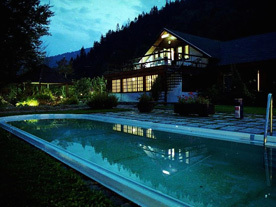 Private manor "Salamandra Village" is your home for holidays in the Carpathians! Great location, modern comfort in ethnic interiors, cuisine of Chef, steam bath, hospitable hosts, pleasant stay here for the night on a long journey or stay a long time to discover the Ukrainian Carpathians. 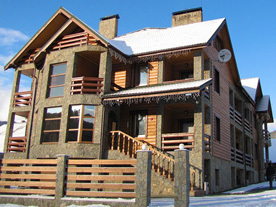 Manor “Hranitsa” is located in Oryavchik in 50 meters from the lift “Zveniv”. 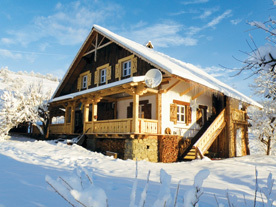 Home comfort, leisure vacation in ecologically clean corner and dishes of Carpathian cuisine. 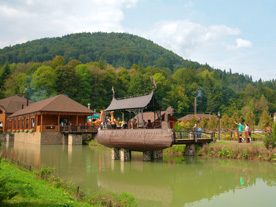 Entertainment and recreation complex “Golden Trout” is located in the village Korostiv of Skole district, Lviv region near Butivlya river and highway Kyiv-Lviv-Chop (M-06 / E-50). The successful combination of modern comfort with a really homey feel. The hotel “Pearl of the Carpathians” is located in a secluded spot Polyanitse 200 meters from the road, near the famous ski resort “Bukovel”. Motel ‘Svyatoslav” is the perfect place for a family holiday in the Skole Beskydy with children and leisure friendly company or corporate. Tourist shelter is on the way to the recreation area “Waterfall on the river Kamjanka” and is designed for short rest and recovery. The total capacity of people at any one time may be at the tourist shelter - about 100 people. Tel. : (066) 2671499; (067) 7660119. In the Skole Beskydy were found stone deposits, abrupt steep rock – “hrehoty”, “beskydy” (the so-called Goltsev form of sculptural relief). Title Mountains “Beskid” some link with some tribe “Bess” who lived here or in another version, from the Greek word meaning “pasture, meadow”. However, the beginning was the ancestral home of Beskid Ukrainian nation - Boykies, hence is the name. 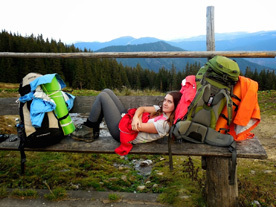 Nature of “Skole Beskids” with their rich biological diversity is extraordinary. Flora Park has over 600 species of vascular plants. In the Red Book of Ukraine are included 40 species. The park also identified 133 plant species that are rare. About 200 species of medicinal plants grow here. Invertebrate fauna has the highest species diversity of biota. In the national park identified 48 species of millipedes, nine of them are rare. The fauna includes 244 vertebrate species, including 20 species of fish, 12 species of amphibians, 6 species of reptiles, 160 species of birds, 52 species of mammals. On the territory of the national park is reacclimatized European bison (Bison bonasus). Available evidence suggests the possibility of re-acclimatization species in the Carpathians and in particular in the Skole Beskydy. On the program “European bison REintroductions in the Skole Beskydy” were brought to overexposure and subsequent release into the wild 11 bison. To date, there are 20 bison individuals. Bison are constant monitoring by scientists, veterinarians. Employees of scientific department of national natural Park “Skole Beskids” are involved in the development of guidelines for training in the school forest and environmental circles. At Skole boarding school operates the school forestry. According to school forest secured 105 hectares. This area is divided into 13 rounds. - Ecological and educational route “Skole – Square”, length 28 km, designed for two or three days of leisure. - Ecological and cognitive trail “beech” in Paul's Valley Stream. The length of 1.4 km, short rest, used during the “lessons of nature” and the activities of the course “Fundamentals of Safety” for students of the school district. - Ecological and cognitive trail “Spade”. The length is 12.0 km. The difficulty of the route is designed for high school students and other visitors, because this route is somewhat harder difficulty interesting rare plants and plant communities. These trails are marked. In the most attractive locations (source of mineral water, well, lawn, etc.) fitted with viewing platforms, recreation.